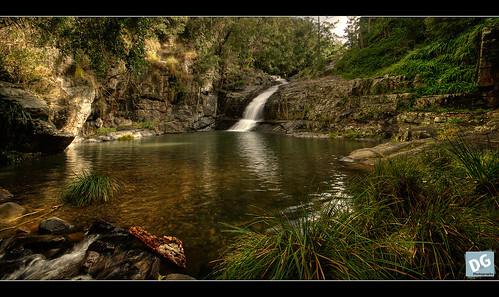 Cedar Creek is a region adjoining the picturesque Samford Valley, NW of Brisbane. The landscape consists of rural and semi-rural acreage, bushland and remnant rainforest, with a babbling creek popular with swimmers in the Summer months. Cedar Creek takes it’s name from the early pioneer days when Red Cedar was logged from the area. Very few of the stately Cedar trees remain, most having been logged out completely. 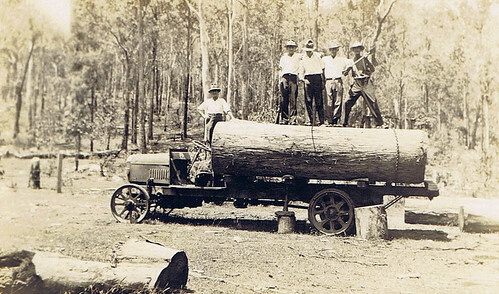 Logging continued in this area until the mid-part of last century. The main attraction of Cedar Creek is it’s namesake, the creek itself. Most years the creek is permanent, only drying up in drought in the winter months. The best time of year to visit the creek is between September and March (basically the wet season). For the purposes of slow shutter photography, the upper creek provides the best opportunities and visits should be planned for 1 to 2 days after heavy rain but while still overcast. While not a large creek, there are plenty of photographic possibilities along it’s length. The lower sections are wider and slower with fewer trees, whereas the upper sections are littered with granite boulders and surrounded with sub-tropical rainforest. Scrambling up the creek will get you to the once popular Cedar Creek Falls and swimming hole. This area is no longer easily accessible, but well worth the 45min to 1hour walk up the creek. The Nov 16th Storm that caused wide spread damage across NW Brisbane. There are ample opportunities for rolling landscapes or spectacular storm photography on the more open hillsides. Several hills in the area have open views across the various valleys. The shot to the left is of the Nov 16th 2008 storm taken from Hills Rd. This location provides wide vistas to the North, West and South and is an ideal spot to watch incoming storms, but it is advised that cover be sought before the storm reaches the exposed slopes. A multitude of horse properties exist in the area providing opportunities for both farm landscapes and horse photographs. There are still several operating farms also, running either dairy or beef cattle in small herds and the odd goat herd as well. 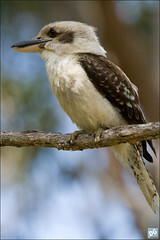 Apart from the aforementioned farm animals, the area supports a vast collection of native species. 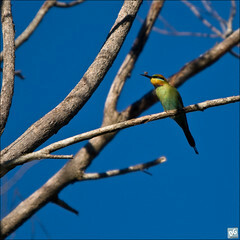 Over 50 species of birds can be spotted in the area over the year, some being a permanent fixture like the Laughing Kookaburra, while others are seasonal visitors, such as the Rainbow Beeater. Reptiles such as the Carpet Python, Emerald Tree Frog and Green Tree frog, amidst many others can also be seen. Beware of the Deathadder, Red-bellied Black Snake and Eastern Taipan who are all known to live in the area. 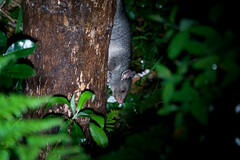 (Bobuck) and Northern Bandicoot can be spotted. Wallabies are also frequently seen around dawn and dusk and sometimes during the day. 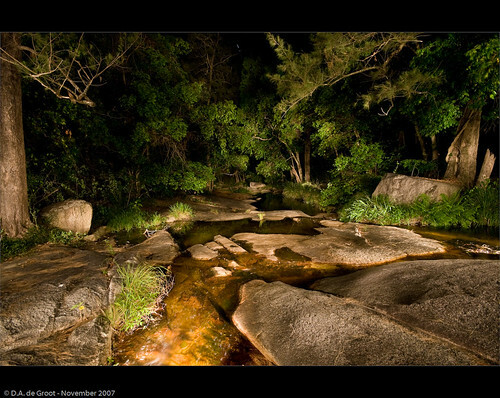 In general, the Cedar Creek area is not ideally suited to night photography. Heavy tree cover around the creeks precludes star gazing, and the general lack of lighting would preclude foreground interest in open areas. Having said that, with careful use of light painting, satisfactory results can be obtained. 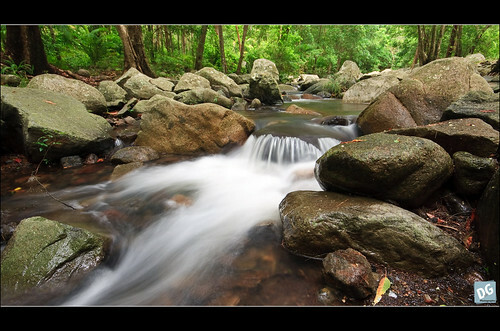 For Creek and Landscape photography in the area, a wide angle lens and a tripod are essential. A cable release is greatly recommended for creek shots to avoid bumping the camera. Make sure your tripod does not mind getting wet, as some of the best shots can be obtained from within the creek itself. A polariser is highly recommended for creek photography to cut unwanted glare and reflections from the creek and rocks. For wildlife and birding, generally the longer the lens the better. A flash can be beneficial when birding to combat excessive contrast when sunny or to better illuminate your subject when cloudy. Neutral or green/brown clothing is best for birding as the local avian population is not particularly used to humans. A portable bird hide may also come in useful. Snakes – many species of dangerous snakes live here including Deathadders, Red-Bellied Black and Eastern Taipans and the Eastern Brown Snake (sometimes referred to as the King Brown). Sunrise and sunset provide excellent opportunities for landscapes, but bare in mind that due to the closeness of Mt Glorious, sunset occurs a lot earlier than elsewhere in Brisbane, although the pink cloud phenomenom still occurs at roughly the same time as elsewhere. The creek is best shot on an overcast day to avoid dappled light and provide you with less light and thus a better chance at a longer exposure. ND filters can be useful, but it is unlikely you’ll need much more than an ND1 or ND2. Birds are very active at dawn, but in the winter months, those birds that are around seem more active between 11am and 2pm. Nocturnal mammals and owls are obviously best sought after during the night. An annotated Map exists here on Google Maps. The blue area is the Cedar Creek area covered by this guide. From Brisbane, travel to Ferny Grove in the North West (via Samford Rd). Continue along Samford Rd until you get to Samford. Turn right at the roundabout onto Main St, and follow this road until you get to Cedar Creek Rd. Turn left onto Cedar Creek Rd, refer to above map. Thanks Lisa, hopefully we’ll get some more rain soon, as it’s down to being relatively dry again at the moment. Thanks for taking the time to write this David. Those falls look beaut. Thanks Glen – they definitely are. Great photos and writing David. I grew up visiting the creek with my father on weekends for over a decade from approximately 1988…great memories and thanks for reminding me!